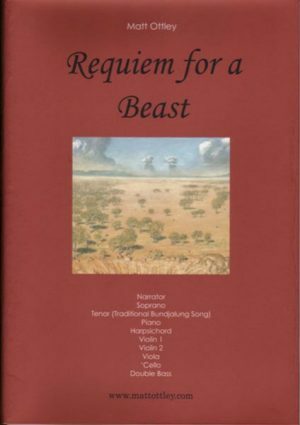 View cart “Requiem for a Beast – Full Score” has been added to your cart. The full score for the musical work on the CD accompanying the book Requiem for a Beast. 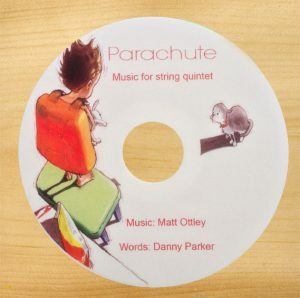 The work is scored for string quintet (2 vlns, vla, vlc, cb), piano, harpsichord, two singers (soprano and tenor) and a narrator. The score contains full transcriptions of the Bundjalung songs and translations of both the Latin and Bundjalung words. The score is A4 in size and contains 71 pages. This package also includes all parts and an audio CD of the Bundjalung tracks, isolated and in sequence so that they can be used in a live performance of the work (indications are given in the score as to when each CD track is to be played during performance).